The Chattanooga High Center for Creative Arts Choo Choo Kids performing group. Shown, left to right, are Shae Grande, Josie Miller, Piper Brantley, and Emily Teske, Brooke Raughton, Emmie Boston, Mariss Schub, Destinee Johnson, and Nick Lyles. In the back row not seen in the picture are from left to right, Noah Huseman, Drew Champion, and Grayson Davis. 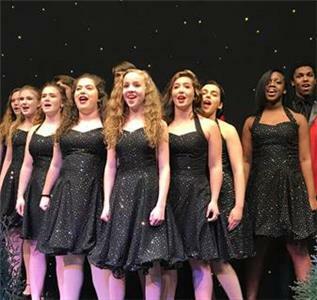 Chattanooga Center for Creative Arts has been named a National Magnet School of Excellence by Magnet Schools of America, the national association for magnet and theme-based schools. The school will be recognized and receive a National Magnet School of Excellence Merit Award during an awards ceremony held at Magnet Schools of America’s 36th National Conference hosted by Chicago Public Schools in Chicago, Illinois April 25-29. The Magnet School of Excellence Award is given only to a select group of magnet schools. Schools selected for the honor are eligible to receive monetary awards and to be named the nation’s top Elementary, Secondary, or New & Emerging Magnet School. One of the Schools of Excellence will also be selected to win $5,000 and the Dr. Ronald P. Simpson Distinguished Merit Award, which is considered the most prestigious magnet school award in the nation. Members of Magnet Schools of America must submit a detailed application for the award that is scored by a panel of educators. The schools are judged and scored on their demonstrated ability to raise student academic achievement, promote racial and socioeconomic diversity, provide integrated curricula and instruction, and create strong family and community partnerships that enhance the school’s magnet theme.